Gotta be honest, I had entirely forgotten I’d done this interview last year when I was in Iowa City for a book festival. But eventually it all came back to me. Also, it’s a pretty good interview. Enjoy. And, well. That’s not great for my focus. The world is not going to stop being like this anytime in the near future, alas, but I still need to get my work done, and soon. So: From now until the book is done, my plan is to avoid the news as much as possible, and also, to the extent I do see news, to avoid writing about it in any significant detail. Tweets? Maybe. 1,000+ word posts here? Probably not. Note that I’m going to fail in avoiding the news entirely — I live in the world, and next week I’ll be at Denver Comic Con, which means that at the very least in the airport CNN is going to come at me, and anyway whichever way the Senate plan to murder the ACA falls out, I’m pretty sure I’m gonna know about it. Be that as it may I’m going to make an effort to keep as much of it out of my brain as possible. Incidentally, yes, just in case you were wondering, this is confirmation that at least one of your favorite writers — me! — finds it hard to get work done in these days of the world being on fire. “The art of the Trump era is going to be so lit!” people have said. Dudes, when you’re worried about friends losing access to health care and American democracy being dug out from below because the general GOP attitude to the immense corruption and bigotry of the Trump administration is “lol, as long as we get to kick the poor,” just to list two things about 2017, the creative process is harder to get into, and stay inside of. I’m not the only one I know who is dealing with this right now. But the work still needs to get done — and not just for you folks. I like getting caught up in my work. It feels good when the writing is moving along. This doesn’t necessarily mean fewer Whatever posts over the next few weeks, since I’ll have July Big Idea pieces and other posts in the pipeline. It does mean the posts that show up probably won’t touch much on world/national news or politics. So. I will try to be strong. Also, when the book is done, oh, how I shall opine. In the meantime, I don’t suspect you will have difficulty finding other opinions on news and political events. It’s called “the Internet.” You may have heard of it. 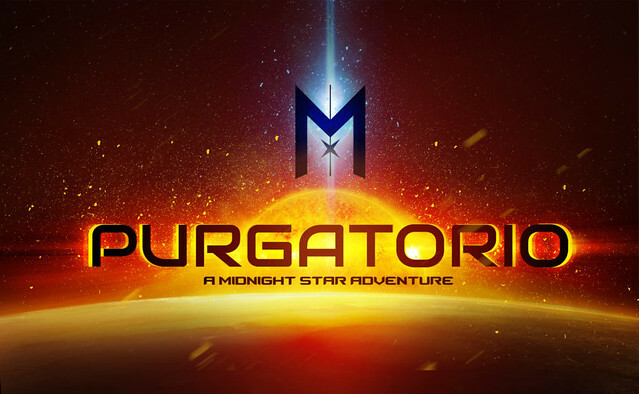 If you’re a fan of the Midnight Star video games I helped create, here’s something fun for you: John Shirley, legendary writer and lyricist, has written “Purgatorio,” a serialized story set in the Midnight Star universe. He’s written it for Bound, a new company (and iOS app) specializing in serialized fiction. Which is pretty cool. 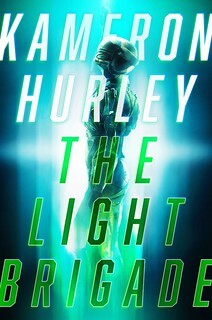 And, it’s the first time someone’s done media tie-in work for a universe I helped to create. Which is also pretty damn cool, if you ask me. Here’s the post on Bound’s site talking about the story. If you have an iOS device you can also download the app there. Big Ideas are great for a book (I mean, that’s kind of the whole point of the “Big Idea” pieces). 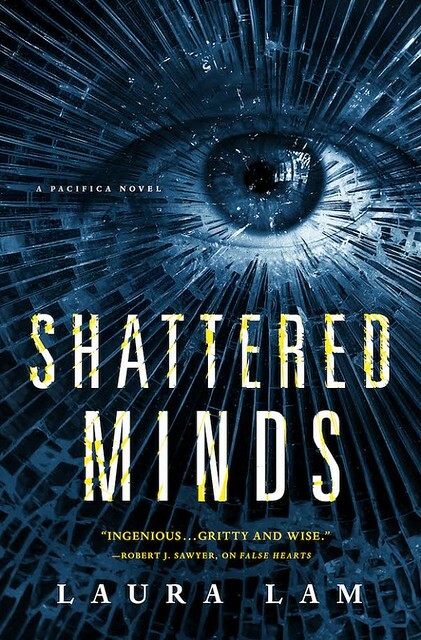 But as Laura Lam explains about her novel Shattered Minds, sometimes the Big Idea is just the jumping off point. Sometimes you get the big idea for the story. Sometimes that’s not enough, even when you’ve written the damn thing. My first idea excited me and got that fire of creativity going. I wanted to play with the Dexter notion—the serial killer who feels conflicted about it. A character who loves killing in rather inventive ways, who thrives off violence, but has enough of a glimmer of a conscious to want to change. A serial killer who doesn’t want to kill innocents is sort of like a vampire who doesn’t want to drink human blood—can they suppress that thirst or will they succumb? We as humans love staring into that darkness. It’s why we read about serial killers, about mythological creatures who prey on humans, or it’s why we watch horror. Carina, the protagonist of Shattered Minds, is a serial killer who becomes deliberately addicted to a dream drug called Zeal so she’s only killing people in her imagination. The first big idea: serial killer lost in dream drugs. I knew this book would be more violent than my other work and have some cool, trippy dream sequences. I also wanted to build on the world I created in False Hearts, which came out last year (the Pacifica novels are a series of standalones set on the West Coast of the formerly United States). This book is set in Los Angeles instead of San Francisco. The series blends psychological thriller and near future tech, with a big nod at 80s and 90s cyberpunk. Shattered Minds has hover cars, floating skyscrapers and mansions, bright moving ads against the sides of buildings. People can change their appearance at will thanks to flesh parlours. Moving tattoos are etched on their skin, and their eyes might glimmer in the dark from extra implants. Pacifica is a shiny ecotopia that’s an ugly dystopia once you scratch the surface. I wrote Shattered Minds, and the plot worked, for the most part. Carina scared me, but not quite as much as the villain, Roz (if you watch Orphan Black, Rachel is a big inspiration for her). I did a lot of research on serial killers, especially female ones, and neuroscience, hacking, corporate espionage, and more. But something was missing. All the pieces were there, made sense, but it was just . . . lacking. The puzzle pieces had the right images but they weren’t slotting together. And that was terrifying. This was going to be my fifth published book. Shouldn’t I have a better handle on this by now? I’d put in all this work, and I could tell something was wrong. This is where good editors are worth their weight in gold. Together, we found the second big idea to bring the project back to life. 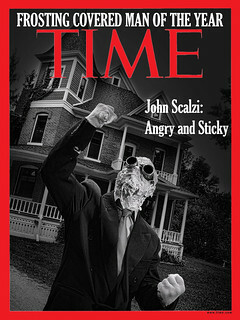 It became a Frankenstein retelling. I struck the thing with lightning, basically (har, har). In the first draft, Carina was a serial killer just because . . . she was. There wasn’t much explanation or reason. No purpose (to use the most overused word said in lectures on the MA in Creative Writing I help teach at Napier in Edinburgh). In the next draft, Roz experimented on Carina when she was a teen, reprogramming her brain to be cool and collected—the perfect unbiased scientist, unbothered by things like empathy or ethics. (Note: this isn’t a spoiler—you find all this out in chapter three after the third murder in a row). However, Roz’s experiment went wrong. Carina started feeling things again, with the side effect of her also wanting to kill everything around her. Now Roz has a much stronger reason to want to take down Carina rather than just greed. Carina is the broken experiment that much be eradicated. The one who got under her skin. The one she couldn’t let go. The next draft just worked. I loved editing Shattered Minds as much as I had hated writing the first draft. Scenes slotted into place, Carina and Roz finally worked, circling each other like sharks. It was glorious fun to make my dark, bloody book even darker and more twisted. Sometimes, maybe a book needs more than one big idea. More than just “what if” question. Maybe something is missing in the first draft and you just need to add a little lightning to revitalise the corpse.